Are you trying to think about the potential large business firms that you wish to start now? Are you looking for ways to communicate your ideas with people? If you’re thinking of starting a new company and you already have a business idea in mind, you can first check out the most lucrative and potential businesses that you can start off in 2015. Ideas will seem to be too easy but executing them will definitely be a tough job. However, you can try taking up the risk for the sake of making money. Personal shopping for people: Wouldn’t it be a good option if you would have a personal concierge whom you could call for shopping and he would pick up all that is popular and all that is appropriate. High end clothing stores and departments already have this kind of service and if you’re someone who loves shopping, you can definitely try this out. Medtech: Medtech is actually the trade of creating and producing different medical services as this was never accessible to the masses. By combining some cheap resources like three-dimensional printing and open-source hardware and software, you can produce prototypes with very little investment of your own. The medical technology market is booming and the sales are anticipated to reach around $229 billion by the end of 2015. What could be more effective? Cloud company advisors: If you take a look at the business trends that are prevalent in 2015, you will know that social media management has been the hottest business. But there has been a big leap and 2015 is the year of the Cloud. Majority of the businesses prefer getting there but they lack enough information. If you’re a knowledgeable IT type, you can certainly start off with a cloud advisory company of your own. Safe food: Safety with regards to food is gradually becoming more of an issue. Everyday you will see some news about either the rotten burger meat or undercooked chicken that are threatening the customers. You can start off with a safe food business as this will be appreciated by the consumers who love to eat and also stay healthy. 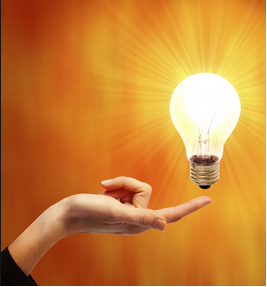 So, above mentioned are the top new business ideas of 2015. Make sure you weigh the pros and cons of starting off with each one of them before you take the plunge.